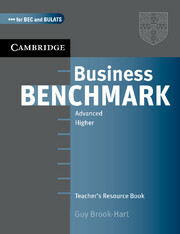 Business Benchmark helps students get ahead with their Business English vocabulary and skills and gives them grammar practice in business contexts. Teachers can choose from the BEC edition or the BULATS edition at the right level for their students. The Teacher's Resource Book is full of useful teaching tips and contains answer keys, tapescripts, model writing compositions, information about the BULATS test and the BEC exam, teaching notes and extra activities including complete extra lessons and case studies. 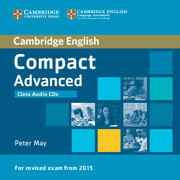 Student's Books, Self-study Books and Audio CDs (2) are also available.